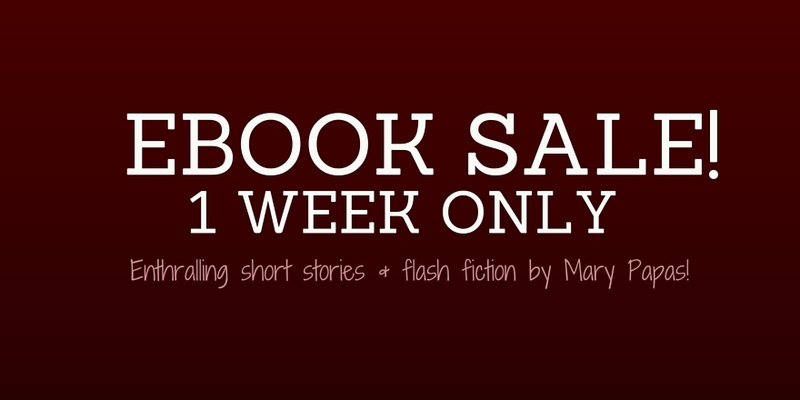 From today (10/11/2015) through next Sunday (10/18/2015) Mary Papas will have a $0.99 sale on all her books (including the Reunions Anthology produced by SSFFS). Mary writes short stories and flash fiction pieces that are funny, poignant, and sometimes a little twisted. Check out her books here!